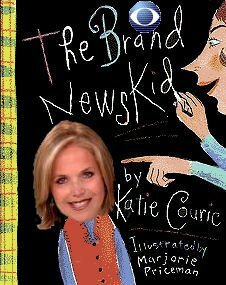 Dare we speculate that Katie's return to "hard" news may signal the end of her career as a children's book author? Blessings abound for us all! "In the White House reporters quizzed Bush and said, / 'Replacing Card with Josh Bolton, are you sick in the head?' / Bush paused and replied, 'Now I know him, you see, / Josh isn't that different from Card and from me.'" You've captured her "sawing" style perfectly. Excellent!